Along with landscape maintenance, Jesseman Landscaping is a full-service landscape construction company offering services that include lawn installation using seed, hydroseed or sod; irrigation; installation of walks, walls and patos using a wide variety of materials including brick, granite and landscape pavers. 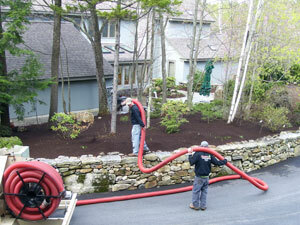 Jesseman Landscaping has a full line of up-to-date equipment and products used for snow and ice management. From residential snow plowing to exclusive snow removal contracts, Jesseman Landscaping has the tools and experience to provide outstanding service. We pride ourselves in customer satisfaction offering competitive prices and high-quality service.